Seasonal changes happen quickly in Minnesota during October and it’s interesting to watch the progression into autumn. 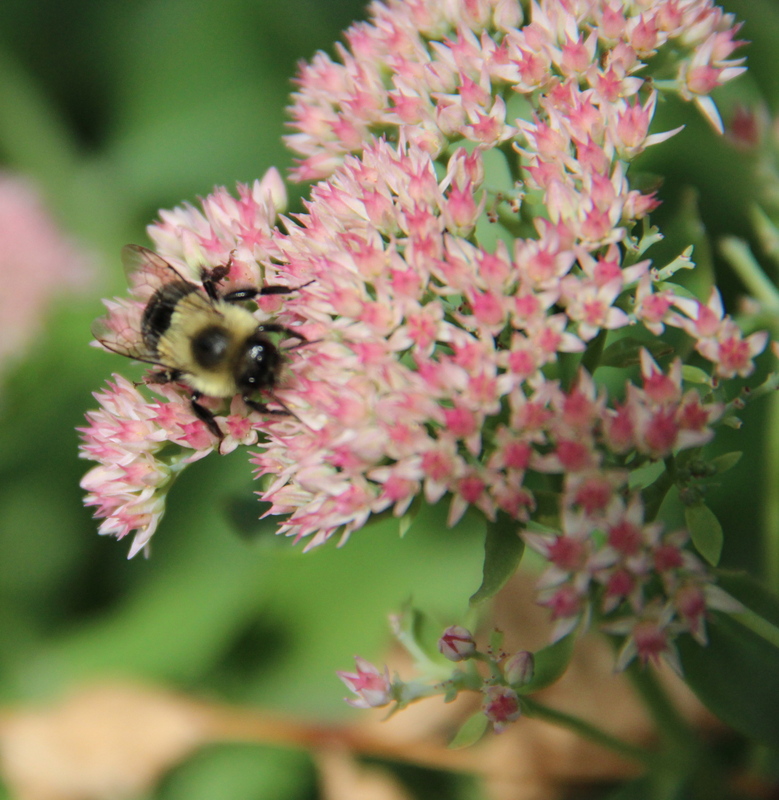 For example, swamp milkweed seed pods break open, male goldfinch feathers transform from bright yellow to olive green, chipmunks and other rodents stash nuts and seeds for the winter, and bees and most other insects have either died or are hibernating until spring. 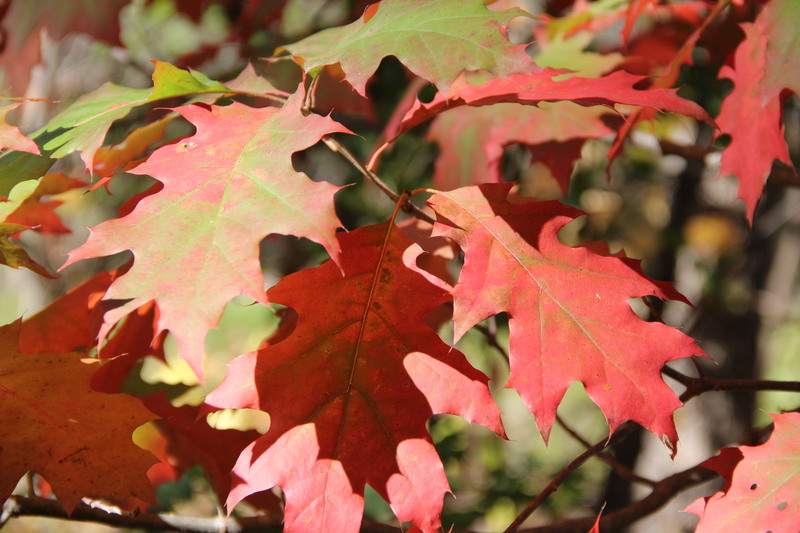 Northern red oak (Quercus rubra) leaves begin to change color. 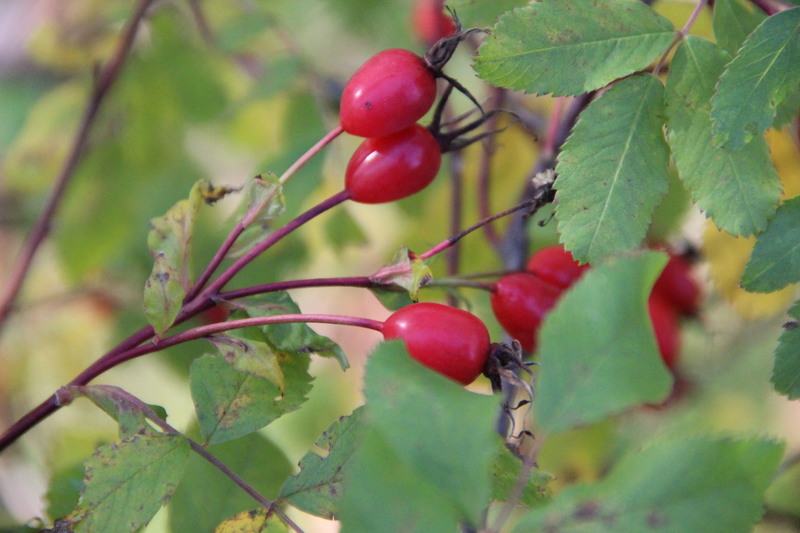 Wild rose hips (Rosa acicularis) ripen to cherry red. 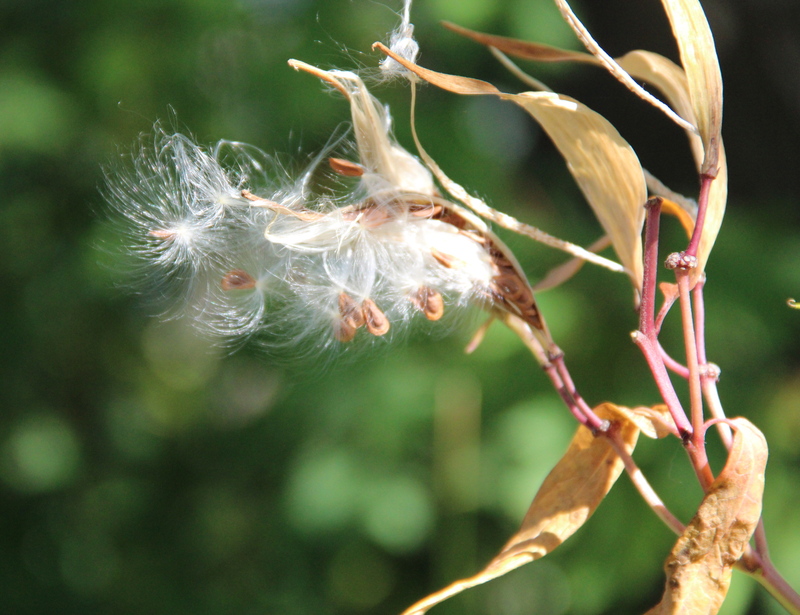 Swamp milkweed (Esclepias incarnata) pods release their silky seeds. 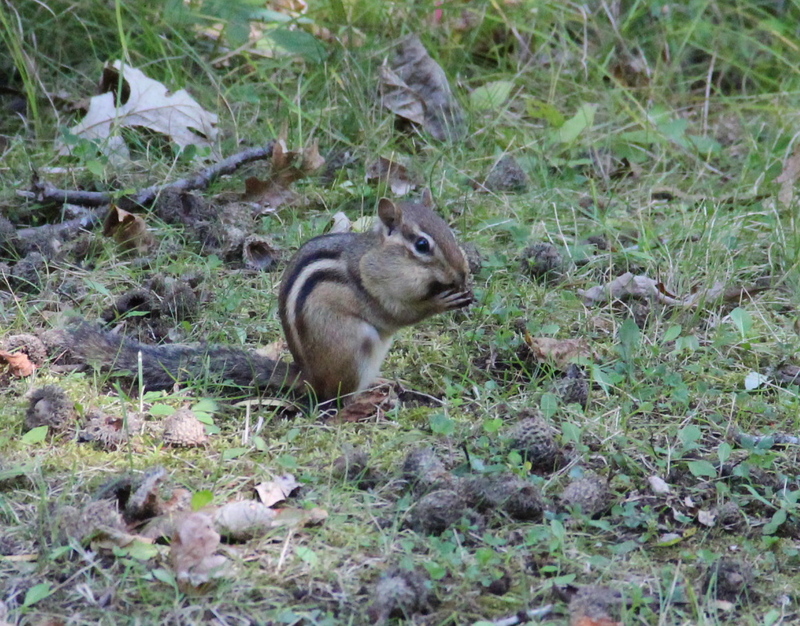 An eastern chipmunk stuffs bur oak acorns into its pouches to store in its den. 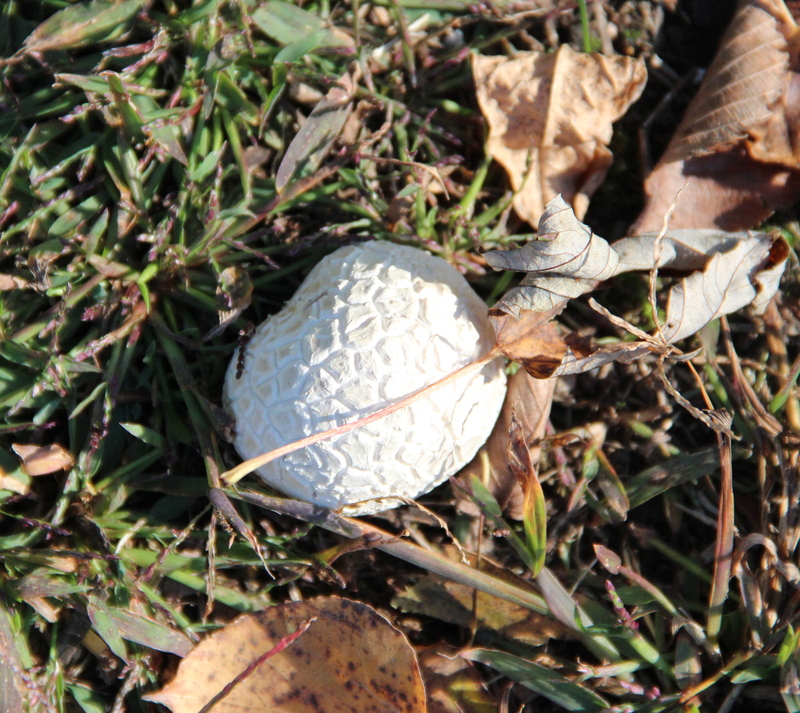 Puffball mushrooms appear in autumn. 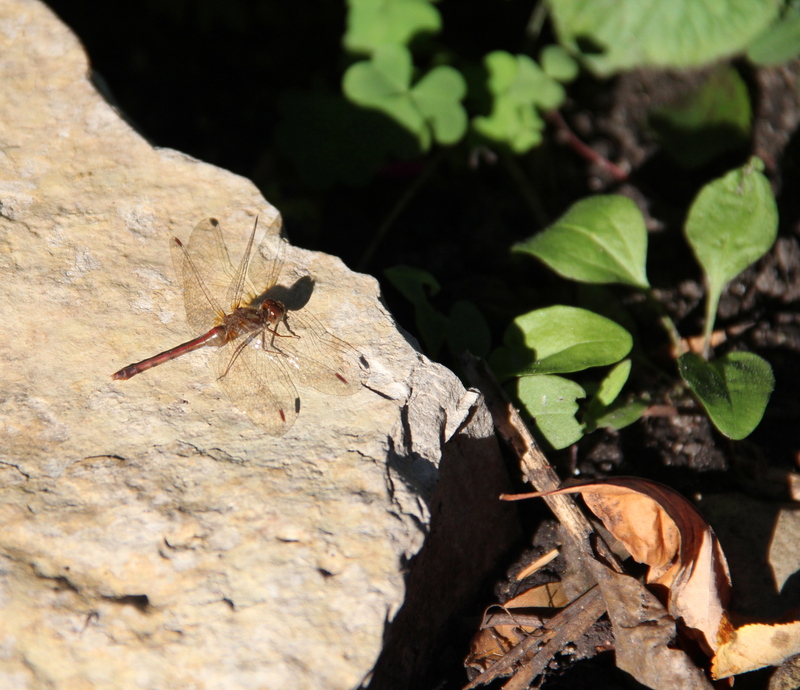 Everyone who observes nature and records their observations contributes to the science of phenology. 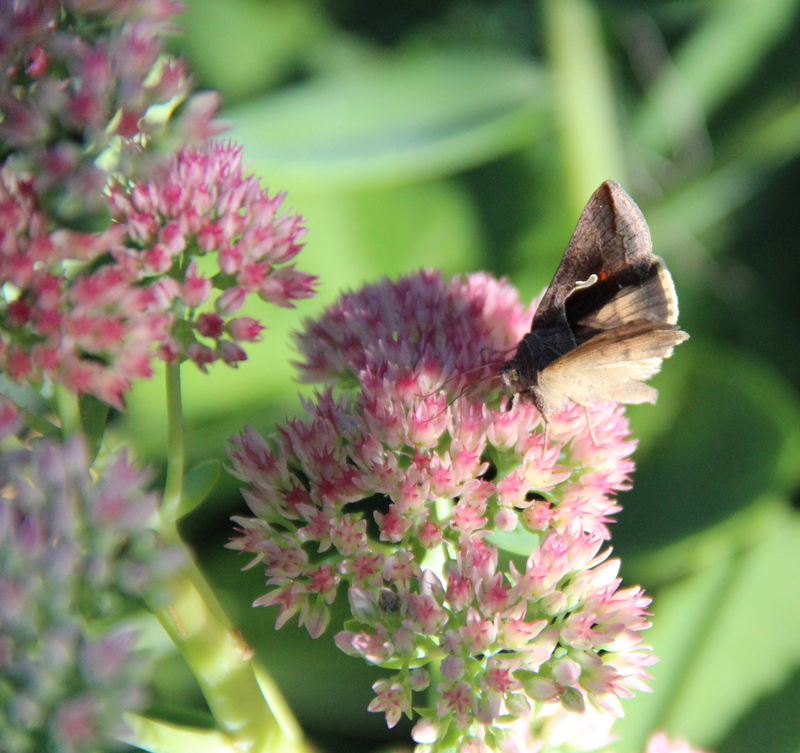 If you’re interested in contributing your own observations, there are several organizations online, including: “Nature’s Notebook” at the USA Phenology Network, the University of Minnesota’s Minnesota Phenology Network and the National Science Foundation’s “Project Budburst”. Early yesterday morning, as Orion sailed high overhead and strings of bright stars washed the sky in spite of an almost-full moon, the first killing frost zapped gardens in the urban core of St. Paul-Minneapolis. About two weeks later than the average date of October 7th, the first hard frost turned basil and impatiens to mush, bedraggled morning glories and hyacinth beans, and shriveled the last blossoms of Japanese anemones and toad lilies. But one hardy bloom survived: a newly opened cluster of climbing ‘Henry Kelsey’ roses. The rose faces south and grows next to our brick garage, which helps to shelter it from north winds. 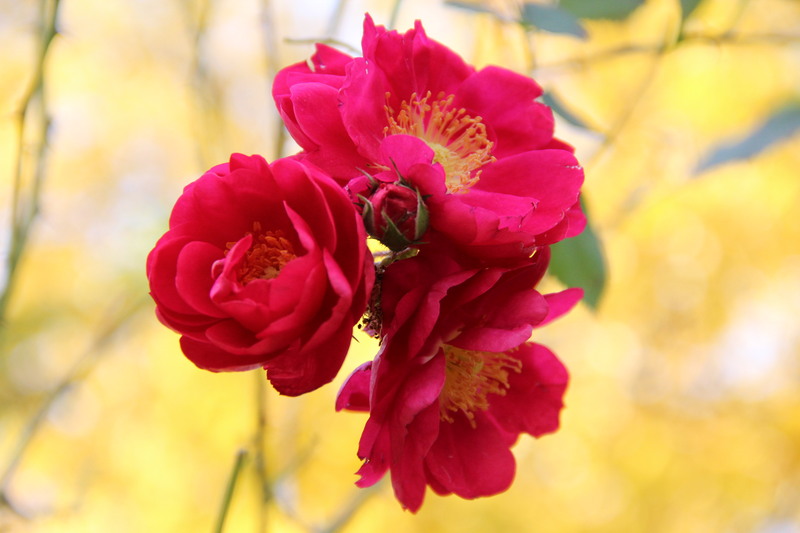 The National Weather Service predicts nighttime lows in the upper 20s the next two nights, so the roses won’t last much longer. However, their fresh, simple beauty was a gift on a gloomy, unseasonably chilly day. To read more about Minnesota weather, seasons and related topics, visit Updraft Blog: Weather and its Underlying Science at MPR.org. Yellow leaves of an ash tree accent Rosa ‘Henry Kelsey’ (Canadian Explorer Series) blooms that survived the season’s first hard frost. When leaves change color in autumn, people often say that the trees are “putting on their fall colors”. In fact, many of the yellow and orange colors are already present in the leaves during the summer and are masked by chlorophyll, a green pigment. 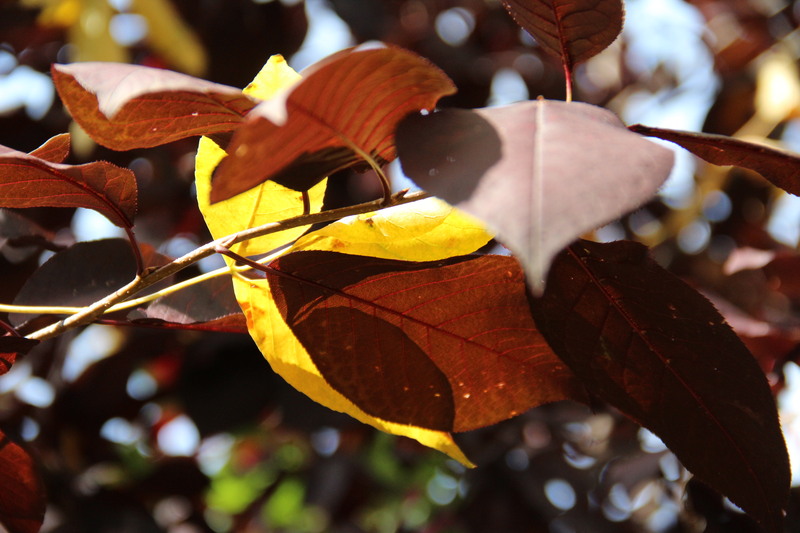 (The red and purple colors are primarily made in late summer as sugars are trapped in the leaves.) Scientists haven’t yet identified all of the factors that influence the color change in leaves, but the primary factor is the decreasing amount of daylight in the fall. As the days shorten, the veins that bring water and nutrients to leaves for chlorophyll production slowly close off. Without nutrients, the chlorophyll dies and the leaves’ other colors are unmasked. 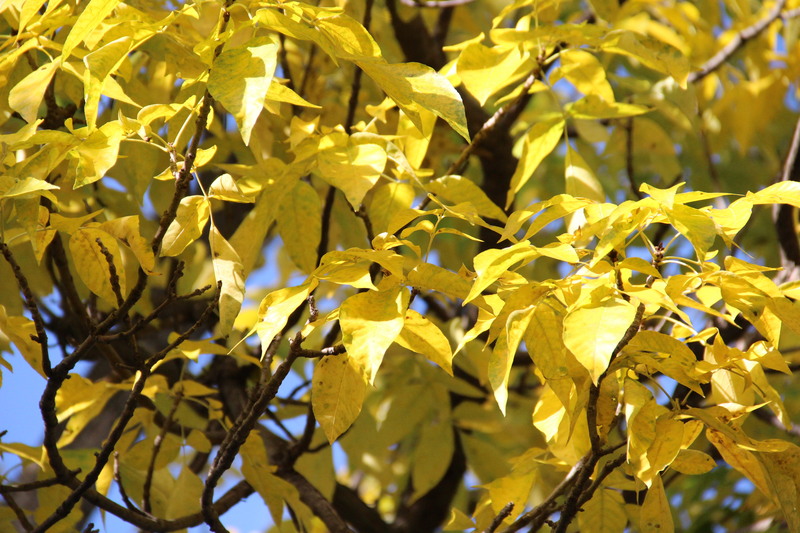 Lemon-colored ash leaves (Fraxinus pennsylvanica) fall among Canadian red cherry tree branches (Prunus virginiana). Green ash (Fraxinus pennsylvanica) is one of the first trees to change color and drop its leaves. To learn more about why leaves change color in the fall, visit the USDA Forest Service, or the Morton Arboretum websites. 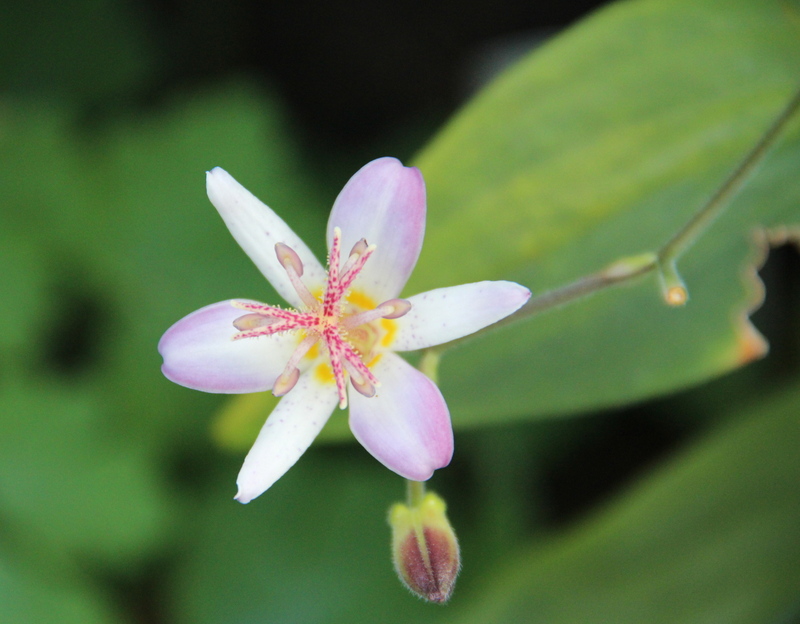 Japanese toad lily (Tricyrtis ‘Tojen’). 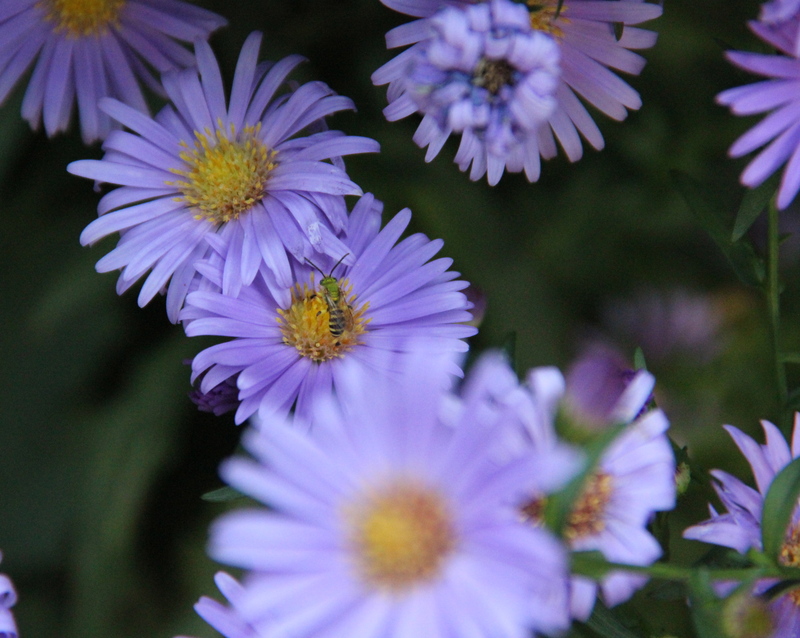 (Aster novii-belgi) with green metallic bee. 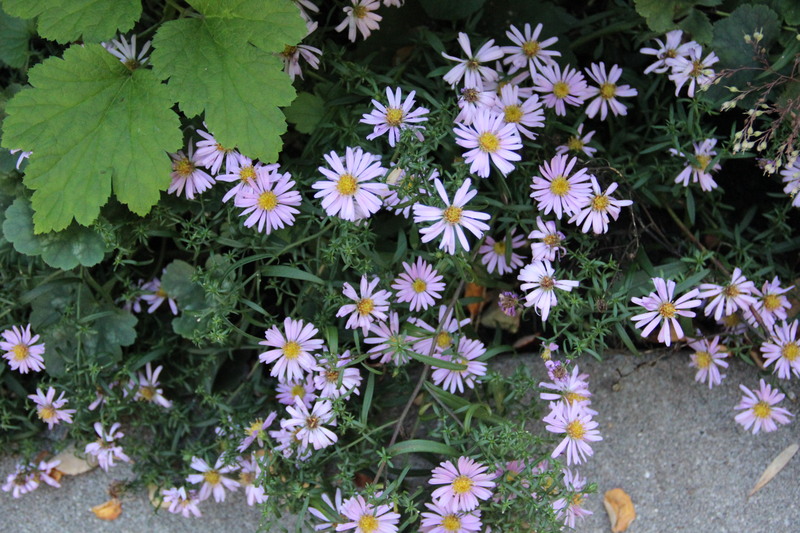 Dwarf wood asters (Aster novi-belgii ‘Woods pink’). 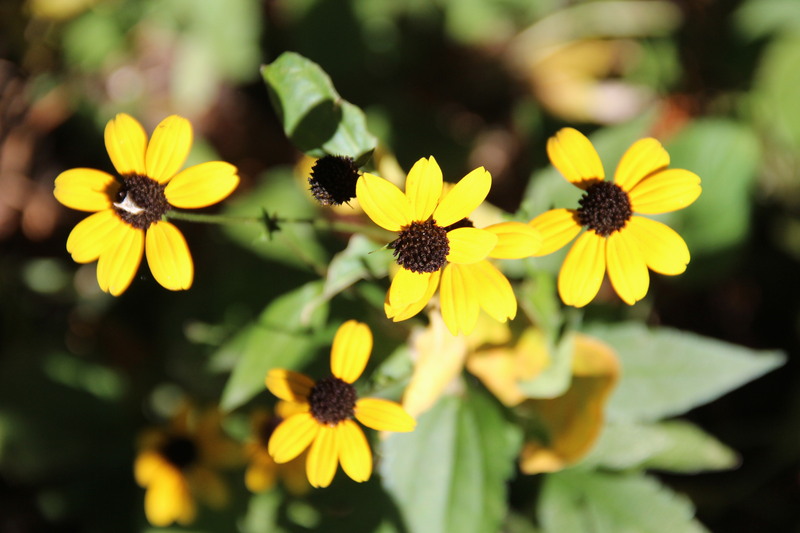 Thin-leaved coneflower (Rudbeckia triloba) is a native wildflower that appeared under our ash tree a few summers ago. 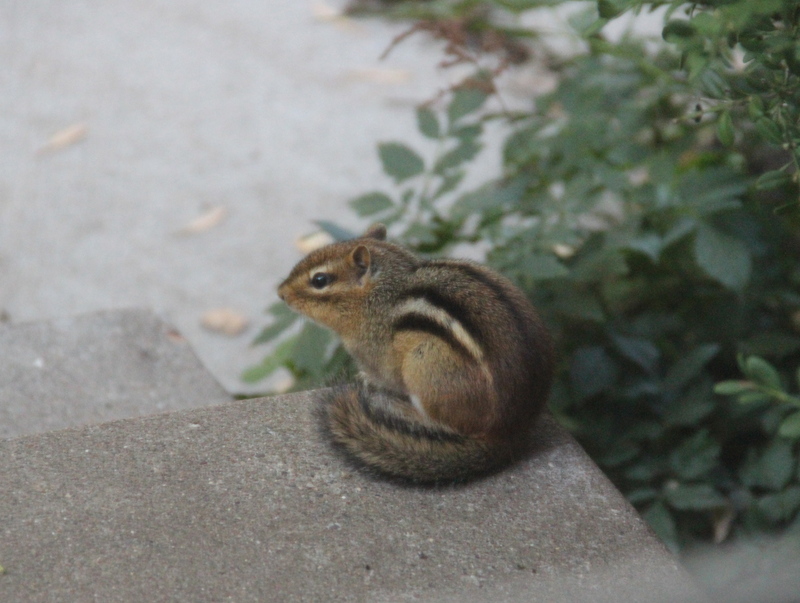 The tree is a favorite perch for birds and gray squirrels, which must have either dropped or excreted the seeds. 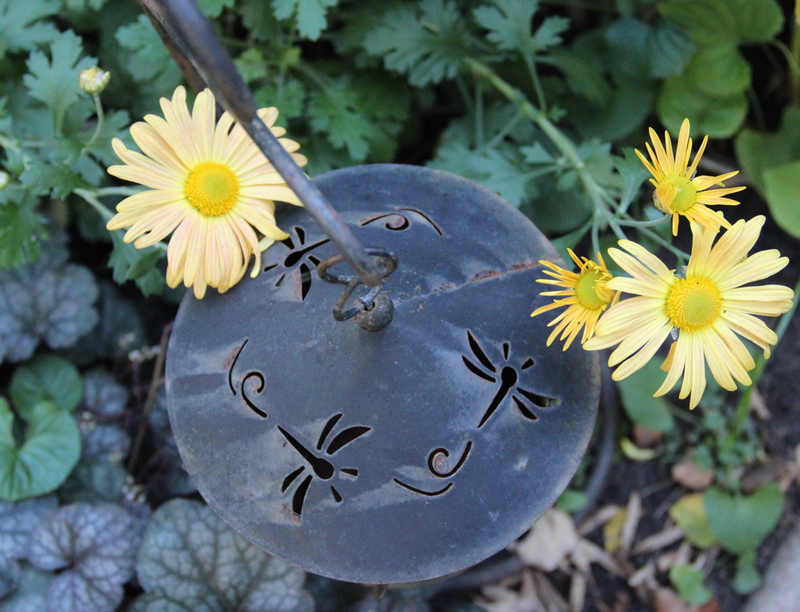 The yellow blooms of (Chrysanthemum rubellum) ‘Mary Stoker’ will develop pink highlights as they age. Purple morning glories last all day in the gentler autumn sunlight. 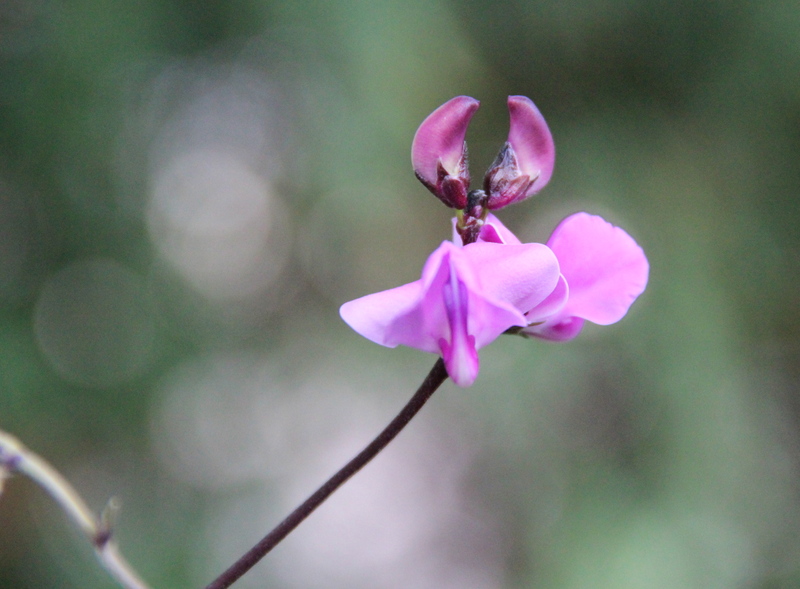 A few hyacinth beans (Dolichos lablab) continue to blossom. 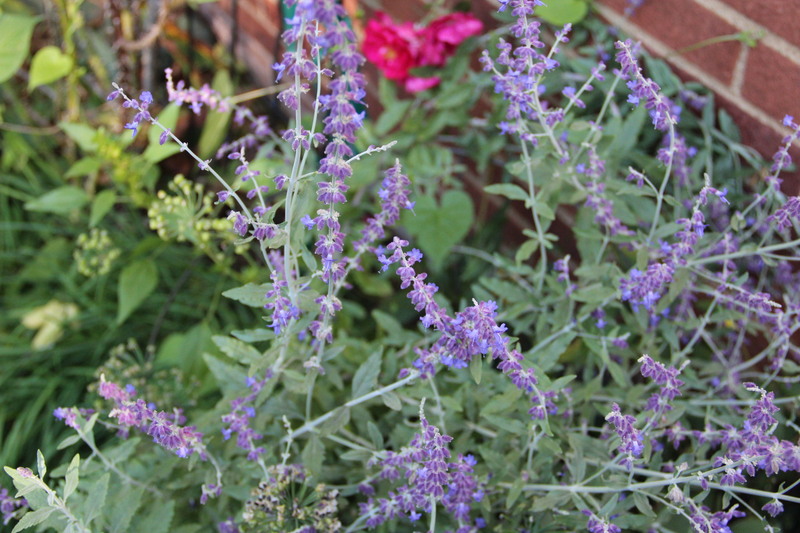 Russian sage (Perovskia atriplicafolia) with Rosa ‘Henry Kelsey’ (Canadian Explorer series) in the background. Native goldenrod brightens up our autumn garden. Twelve or more species of goldenrod grow in Minnesota. 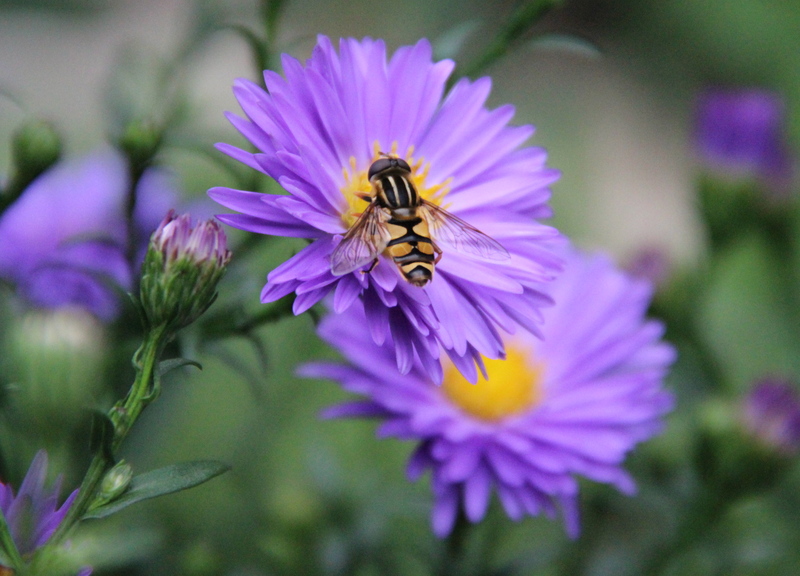 All provide an important source of autumn nectar to bees, butterflies and insects, and also give a burst of long-lasting color at the end of the growing season. Most goldenrod species grow in sunny locations, but zigzag goldenrod (Solidago flexicaulis) prefers shady woods and woodland borders. It’s smaller, daintier and better-behaved than many of its cousins. 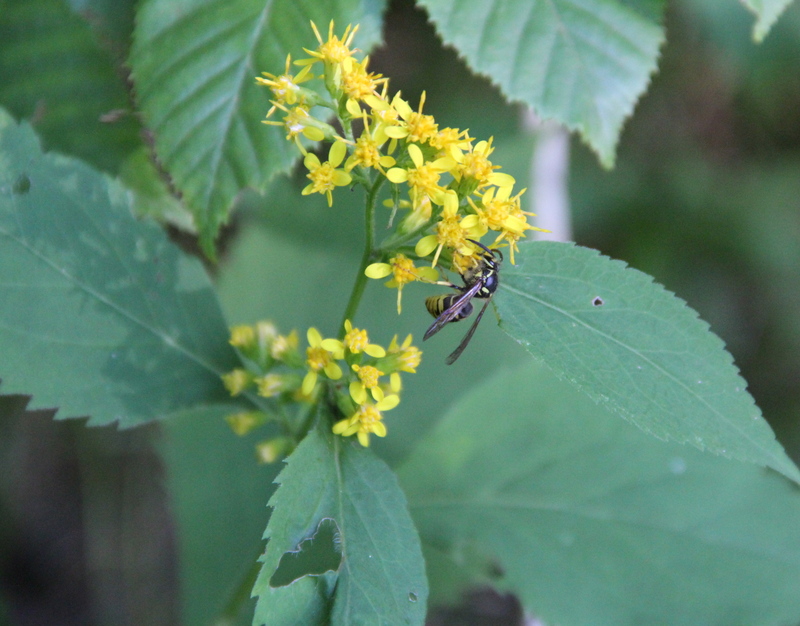 Zigzag goldenrod with aerial yellowjacket (Dolichovespula arenia). A patch of zigzag goldenrod (Solidago flexicaulis) grows in dappled sun near a hazelnut thicket along the banks of the Snake River in east central Minnesota. 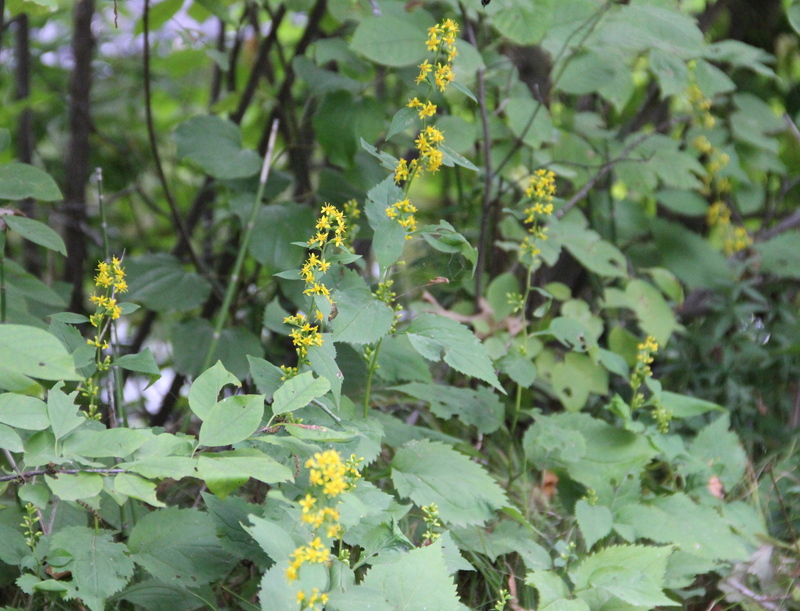 Known also as broad-leaved goldenrod, it has oval-shaped leaves rather than thin narrow ones typical of many goldenrods. The stem bends a little bit at each node, hence the name zigzag. 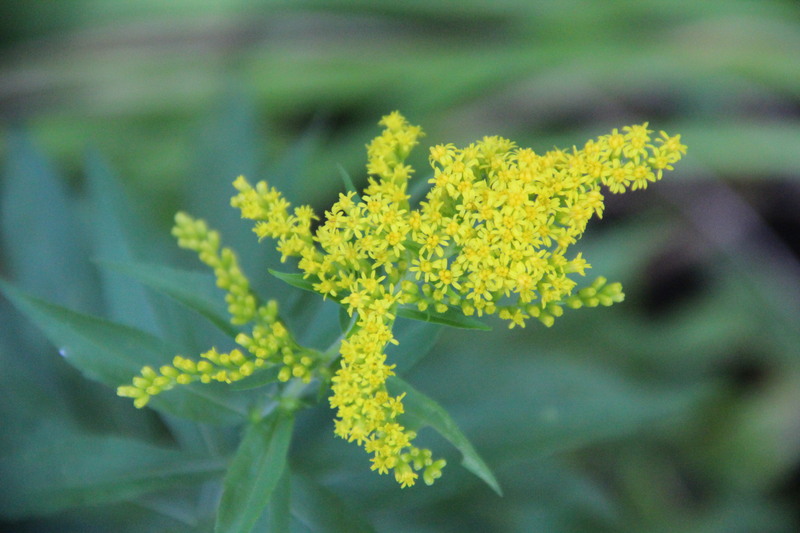 An interesting fact: Sometimes allergy sufferers blame their misery on goldenrod, but ragweed is the true culprit. 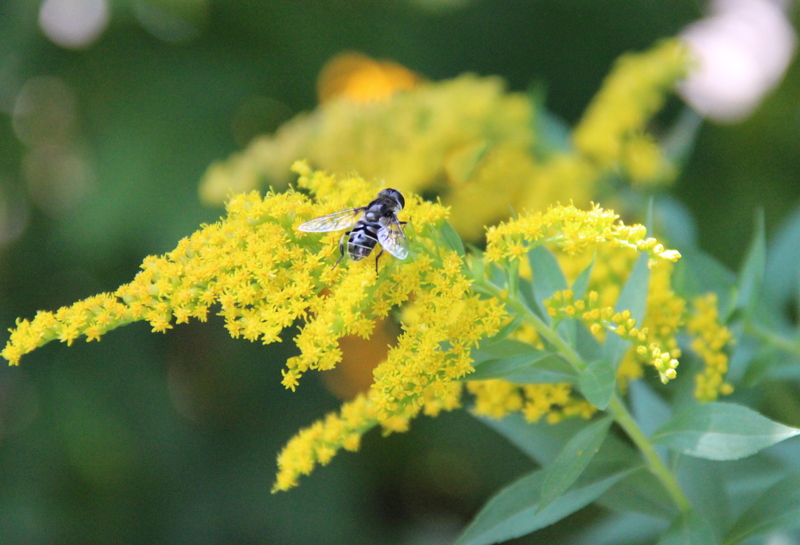 Unlike ragweed pollen, which is wind-dispersed, goldenrod has sticky pollen that is dependent upon insect pollination. So, if you’re sneezing in the fall, it is primarily caused by the pollen of ragweed and nettle! To learn more about the difference between ragweed and goldenrod, visit the University of Minnesota Extension website for an excellent, succinct overview. In early October, wildflowers in shades of orange-gold, yellow, purple and white light up Minnesota’s roadsides, fields, woods and riverbanks. One of my favorites is spotted jewelweed (Impatiens capensis), or touch-me-not. 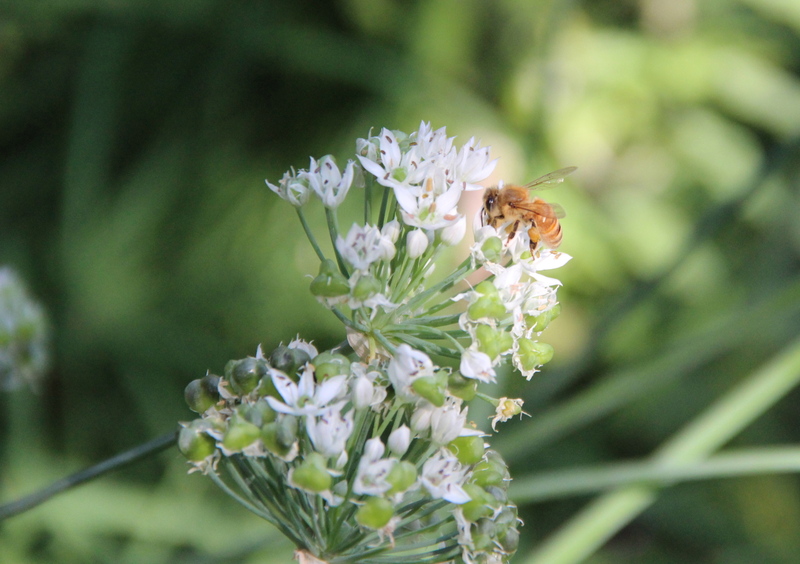 Its small flowers are bright orange with red spots and are shaped like tiny funnels or cornucopias. 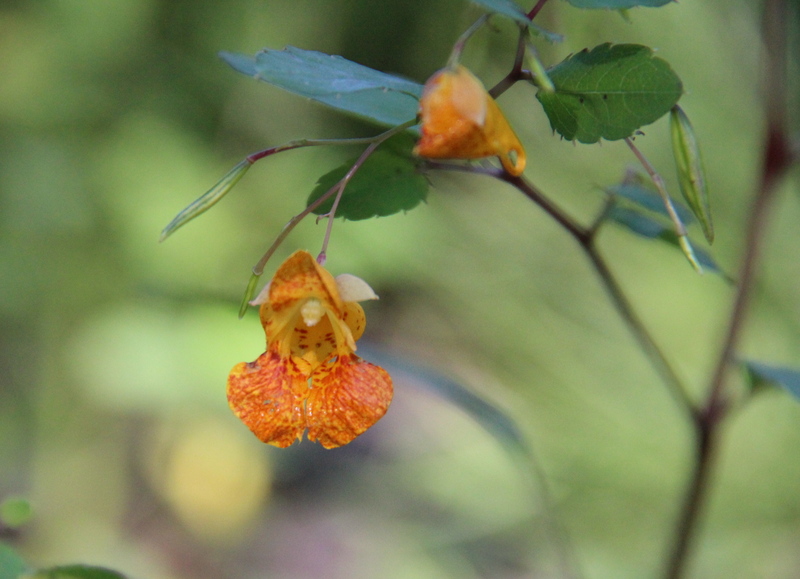 The name jewelweed refers to the way that water droplets bead up like shiny jewels on the plant’s leaves, and also to the blossom’s jewel-like appearance. Touch-me-not refers to the ripe seed pods, which burst open and expel the seeds if touched. When our teenage son was little, we loved popping open the ripe pods and watching the seeds fly out. Spotted jewelweed (Impatiens capensis) blossom and ripening seed pods. Native to much of Canada and the United States, spotted jewelweed grows along streams, rivers, damp roadsides and other moist, shady spots. 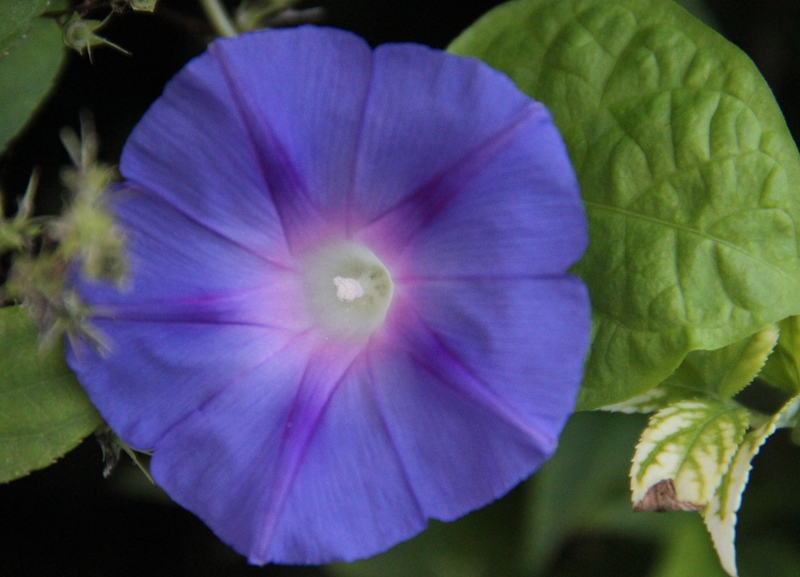 The one I photographed was growing in a shady wet area about four feet from the edge of the cabin road. Hummingbirds, which are attracted to the bright, red-spotted blooms, are the main pollinator of spotted jewelweed. 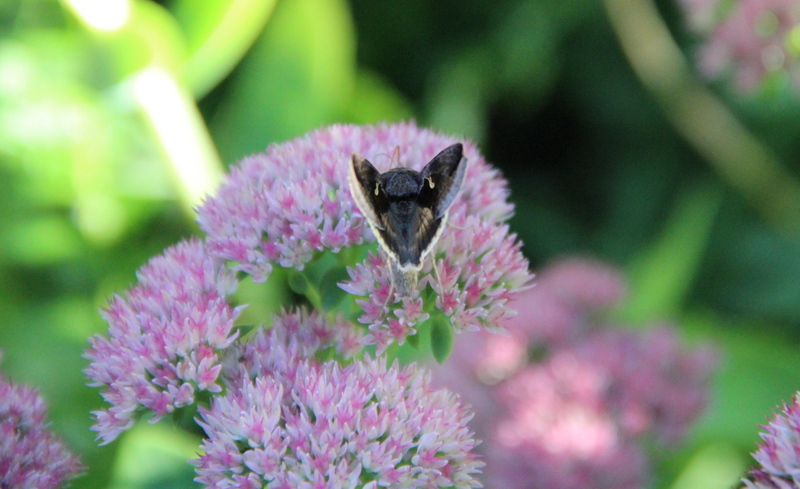 The nectar is contained within spurs that are easily reached by the hummer’s long beak. A closely related plant is pale touch-me-not (Impatiens pallida) which is light yellow with just a few reddish-brown spots. Related Video: Spotted jewelweed pods popping open.